Janice Ng is a designer, author, and activist for gender equality. She is currently helping companies get off the ground in the crowdfunding industry and has a long track record designing for other industries including medication, food, fitness, and health. Janice is from Hong Kong and currently residing in the Silicon Valley. She has a BFA Graphic Design with distinction from California College of the Art. She has worked with children as a language tutor for Cantonese and Mandarin. “Women should not be smart because men don’t like intelligent women.” — This is what I was told growing up. Growing up in a traditional asian family, I was told to be a “good” girl. Being a “good” girl meant listening and following what society says a girl should be. I always tried to be that “good” girl, but I have never been truly myself. For more than twenty years of my life, my values, beliefs, and worldviews were constructed by what I perceived to be true — Women are meant to serve men. Sources: Girls’ Attitudes Survey. Girlguiding, 2017. Change It Up! What Girls Say About Redefining Leadership.Girl Scouts of the USA, 2008. Saying NO to gender stereotypes empowered me to write this book. With this realization, I started writing and designing a colorful children’s book called “How to Be a Good* Girl.” My mission is inspiring young girls to identify and overcome gender stereotypes. My book gives them a creative and safe place via guiding questions to express how they feel about stereotypes. Its purpose is to inspire young girls to stand up for themselves and others while encouraging parents to support their children no matter who they are or who they want to be. 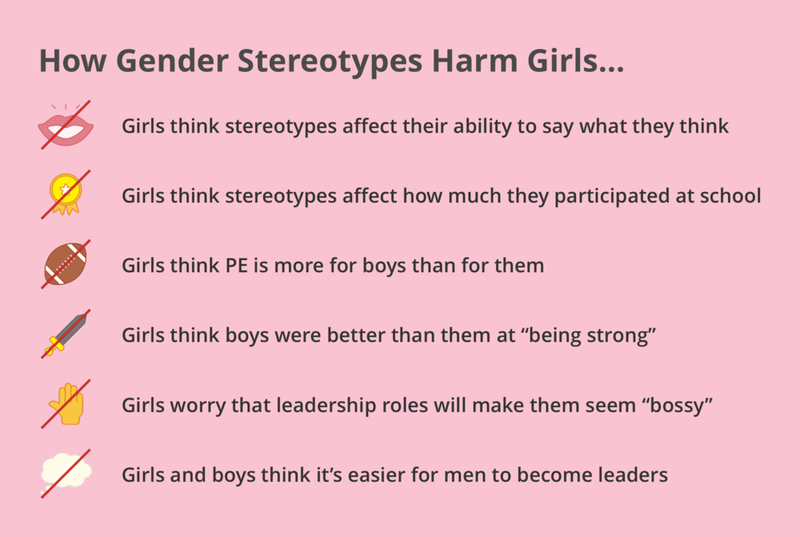 Let’s end gender stereotypes now. I am incredibly passionate about helping girls around the world with something I have struggled with for most of my life. I believe in speaking out when systems want to oppress groups and keep communities from thriving. This has encouraged me to share a part of myself, to show you why I started created this book. There are millions of women out there who have went through the same struggles as me. It is not just my book; it is their book, too. As a full-time designer, I strive to lead and partner with communities by designing tools to elevate their pains. I hope everyone, especially women and minorities, will be encouraged to speak up and will inspire other women to do the same. Feel free to reach out to me at janice@howtobeagoodgirl.com. Thank you for all women being strong and brave. Be brave. Stand up to gender stereotypes. Own your future.